Former preacher uses “depression” as an excuse for violence. A former Hillsong preacher turned motivational speaker believes he is “more qualified” to help people after domestic violence charges against him were dismissed because he was suffering depression. Pat Mesiti, 56, was charged after grabbing his now ex-wife Andrea by the neck during an argument over a party at their family home in Glenhaven on New Year’s Eve last year. Parramatta Local Court heard Mesiti, who pleaded guilty to common assault, was struggling with the separation from his second wife and was taking anti-depressants. Source: Leigh Van Den Broeke, Domestic violence preacher, The Daily Telegraph, Published 24/03/2016. Social worker Tanya Levin also shared her observations. “What Pat Mesiti failed to mention in his FB update below was that the charges of domestic violence against him were dismissed by way of Section 32, which is a mental health defense. The conditions are that he has to continue his doctor’s appointments, and keep taking his medication. But you can’t have it both ways. If you’re mentally ill, even temporarily when you find out your estranged wife is having a NYE party without your knowledge and you have to attack her verbally and physically in an intoxicated state, then we have to ask when else this episodes descend and whether or not you were ill when you were claiming to hear from God. Or you’re not mentally ill and you lied in court because that’s what frauds and abusers do. Being drunk is not a mental health condition. Neither is being a wife beater. So which is it? Do tell me, exactly which illness do you have, Pastor Pat, that causes drunken fits of rage that police find you in? Because I can’t see it in the DSM anywhere. But there’s a whole lot here on pathological liars and narcissism. And there’s no pills for those either. I’m sorry that all these systems failed you, Mrs Mesiti. I hope you are safe wherever you are. Silence is not an option for Hillsong. When Pat Mesiti was exposed for getting drunk and sleeping with prostitutes back in the year 2000, Hillsong’s senior pastor Brian Houston and C3’s senior pastor Phil Pringle worked to restore “money-magnet” Mesiti back into ministry. Pat Mesiti was officially restored back into ministry in 2006 and has been spotted at various times preaching on C3/Hillsong preacher networks. There is no evidence to indicate he is now an ex-Hillsong or ex-C3 pastor since that restoration. If he isn’t a Hillsong pastor, Hillsong needs to make this clear. Please also keep Andrea and her family in your prayers. She is a wonderful woman and deserves all the prayer and support of Christians everywhere. A FORMER Hillsong preacher has pleaded guilty to attacking his wife on New Year’s Eve while they were finalising their divorce in a Western Sydney court. Pat Mesiti, 56, confronted his second wife of 13 years, Andrea, at their Hyde Ave, Glenhaven home after seeing pictures of their niece hosting a party at the residence about 10pm on December 31, 2015. He was at Wisemans Ferry celebrating the New Year with friends when he saw the images on Facebook and began calling and texting his wife. “After arriving home, the accused being intoxicated has began arguing with all the partygoers including (his niece) demanding them all to get out,” according to police documents tendered to court. “The victim and accused have engaged in a heated argument during which the victim told the accused that she had allowed the party to happen and that she gave permission for (their niece) to have some friends over whilst she was out. Police said Andrea escaped the attack without any injuries. Mesiti was not living with his wife at the time and they were in the final stages of a divorce. He was charged with assault occasioning actual bodily harm and common assault however the former charge was withdrawn in Parramatta Local Court yesterday. Magistrate Karen Stafford said his bail would continue with conditions that include not being able to “assault, threaten or harass” the victim or drink alcohol within 12 hours of seeing her for a period of 12 months. “In a nut shell, you can’t do anything that will make her fear for her safety,” Magistrate Stafford said. Mesiti remained silent as he left court. He was once a prominent television evangelist and preacher for Hillsong Church but they stripped him of his license after discovering he had been sleeping with prostitutes. Since then he has become a successful motivational speaker and author. The matter is scheduled to return to Parramatta Local Court for sentencing on March 23. People have started asking the question: “Is Pat Mesiti is still a pastor at either Hillsong or C3?” (Due to his recent arrest after beating his wife.) Even though Pat Mesiti was exposed in a scandal that expelled him from his position at Hillsong, evidence shows he is STILL considered a pastor in the Hillsong and C3 movements. The proof of this is the fact he is still able to travel between Hillsong & C3 churches AND apparently speak in a pastoral context from their pulpits, (remember, the official role of a church pastor is to teach/preach from the pulpit). 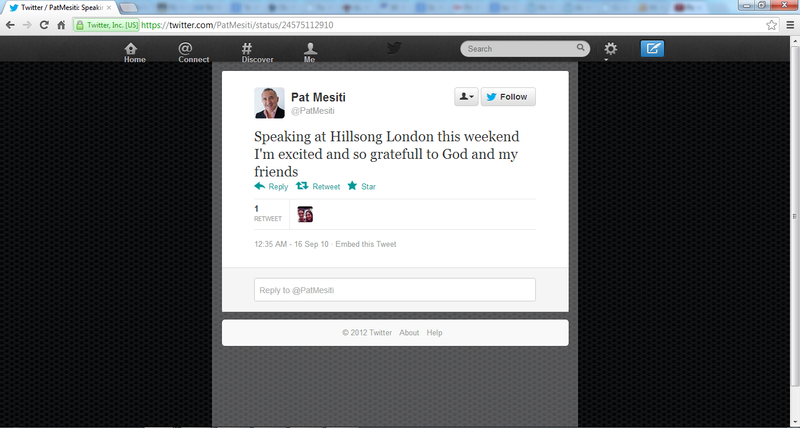 AND we are yet to hear an official statement denying that Pat Mesiti is a Hillsong or C3 pastor. 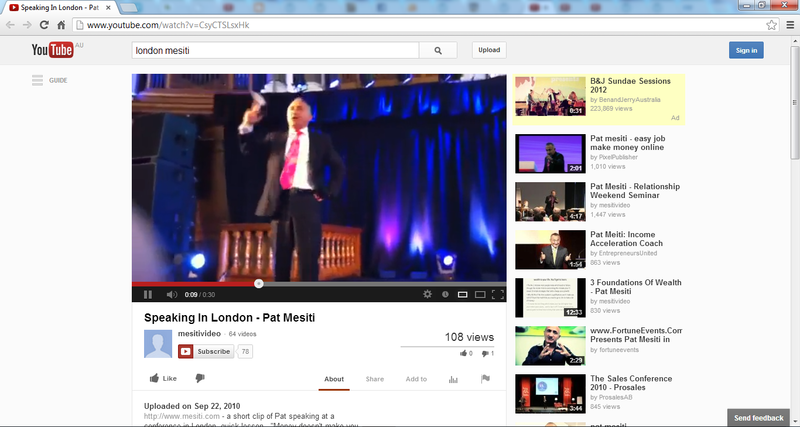 You can read our article here, covering Pat Mesiti preaching at Hillsong London in 2010. We also know that Senior Pastor Joel A’Bell from Hillsong , as early as 2010, defended “Pastor” Pat Mesiti from critics. A genuine leader will never exploit your emotions or your pocketbook. Matt 7:16 MSG. In reality, the Message is NOT a valid translation of the bible. It’s a paraphrase that is filled with pagan and new age references. 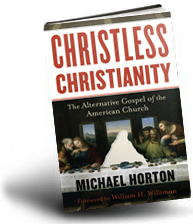 Nevertheless, Eugene Peterson did capture the nature of today’s false teachers rather well – they DO “exploit the wallet”. This particular scripture attracted Hillsong critic Steve West and others to protest the fact that Hillsong pastor Pat Mesiti DOES exploit Hillsong member’s emotions and their “pocketbook”. And thus will likely not have offerings at every meeting, conference, cell group and college chapel service. This led into questions as to why Hillsong’s disgraced pastor Pat Mesiti was acknowledged as a pastor at Hillsong London on Joel A’Bell’s wall. Many people, including Hillsong attendees, were surprised he was reinstated at all and protested other sins of Mesiti to Joel. By this stage, Mesiti was rapidly earning the reputation, world-wide, as an international con-artist from 2009 onwards, with his ongoing endorsement of men renowned for their dubious integrity. This did not stop Joel A’Bell from defending AND endorsing the apparently restored Hillsong “Pastor” Pat Mesiti from speaking at Hillsong London. 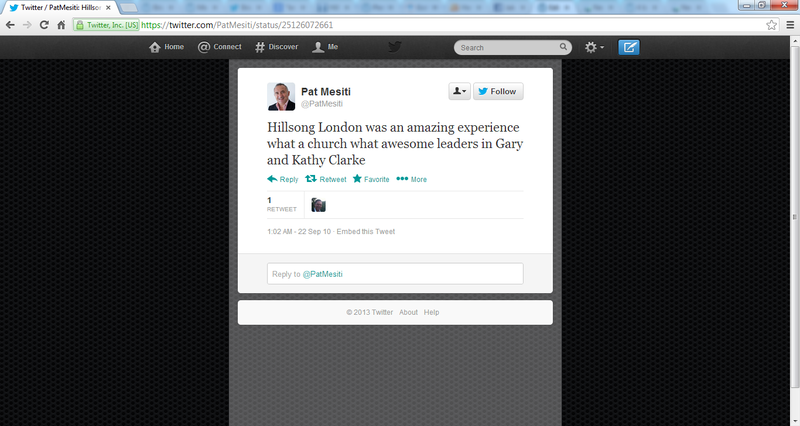 Throughout this entire conversation, Joel A’Bell did NOT refute the assumption that Pat Mesiti was a Hillsong pastor. His continual defense of Pat Mesiti speaking at Hillsong London only confirmed the fact that Pat Mesiti was still a Hillsong Pastor (or affiliated with Hillsong’s leadership). Furthermore, he defended Pat Mesiti as one of their own. It is clear that Hillsong, as an organization, was NOT acting in ignorance but validating and treating Pat Mesiti as a RESTORED pastor in their movement. Otherwise, why have him speak as a pastor at Hillsong London? “Literally, it didn’t only cost him his ministry, it cost him his marriage, it cost him his home, he lost his home, it cost him everything. The only thing he had was loyal friends and perhaps that’s the greatest thing we can have anyway, is loyal friends. Brian has made it clear. Mesiti is still alive and well as a “restored” Hillsong pastor, he still has close relations with Brian Houston. In fact, Brian Houston used Pat Mesiti an example in this sermon of how one can be restored. Restored into what? In this specific sermon, not only is what Pat Mesiti saying blasphemous, he also refers to his involvement with Hillsong. What is interesting about the sermon above, as Chris Rosebrough reviews it on his program ‘Fighting for the Faith‘, he clearly exposes the prosperity cult theology (and predatory nature) that Mesiti appears to have fine-tuned from his association with long term “pastoral” friends and mentors, Phil Pringle and Brian Houston. It’s well worth listening to the sermon review to prove that this man is STILL used as an example to follow by Brian Houston. And because his life is a “success story”, one can assume that’s what qualifies people like Pat Mesiti to be pastors in the C3 and Hillsong prosperity cults. Clearly there is NOTHING regenerate or “restored” in Pat Mesiti’s life. The signs were there even before he was charged with assaulting his wife. So why on earth would Hillsong/C3 hold onto him? Why would Hillsong and C3 have him (unbiblically) re-instated as a pastor when there are so many others who could easily replace him? There has to be more to this than meets the eye. NOTE: SCREEN GRAB TAKEN ON 18/01/2016. This article will recap Pat Mesiti and his involvement with the leadership of Hillsong Church and C3 Church. It is our goal that our readers see how heavily Pat Mesiti was involved with the top leaders of the Hillsong and C3 Church movements and how they influenced him. The last part of this article will reveal the answer to the above question. We have been looking at the history of Pat Mesiti on both C3 Church Watch and Hillsong Church Watch. To recap quickly, we have recorded his involvement in Hillsong before his unfortunate fall. Phil Pringle and Brian Houston not only see themselves as pastors. 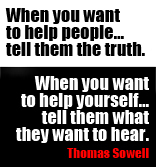 In their books they see themselves as public motivational speakers. We’ve also learnt in an interview that Mesiti has been restored again as a pastor by C3 and Hillsong. And This Is How Pringle Restores Fallen ‘Pastor’ (And Prophet) Pat Mesiti? Now that Hillsong and C3 ‘restored’ Pat Mesiti back into their leadership ranks, it was interesting to see a journalist make the connection to Mesiti and Hillsong. The journalist expressed their concerns of Mesiti’s “get-rich-quick schemes” through his money making books and conferences. This did not stop Phil Pringle have Pat Mesiti speak at his 2008 RealMen’s conference nor prevent him speaking on finances on ‘Positive Hits’ which use the C3 Church grounds up at Oxford Falls. Nor did this stop Hillsong leadership have Mesiti speak in their conference over in Hillsong London in 2010. So what can we say? Pat Mesiti learnt from the best of the best that Hillsong and C3 had to offer. Knowing this (and after reading the above articles), don’t you think that Brian Houston and Phil Pringle have done a good job restoring Pat Mesiti as a pastor, teacher and leader? Good tip Pastor Pat! Where did you got that tip on public speaking from? “Speaking at Hillsong London this weekend I’m excited and so gratefull to God and my friends” — Pat Mesiti (@PatMesiti), https://twitter.com/PatMesiti/status/24575112910, 15/09/2010. “Hillsong London was an amazing experience what a church what awesome leaders in Gary and Kathy Clarke” — Pat Mesiti (@PatMesiti), https://twitter.com/PatMesiti/status/25126072661, 22/09/2010. This only goes to show that C3 Church leadership and Hillsong leadership still consider Pat Mesiti a minister worthy enough to minister behind the pulpit. They chose to give him platforms since 2006 to September, 2010. They still might endorse him as a pastor and minster to this day. We will be looking more into this. NOTE: ALL SCREENGRABS WERE TAKEN ON 29/10/2012. 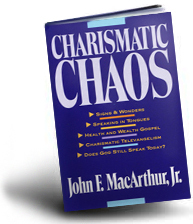 Guess Which “get-rich-quick” scheming Pastor This Journalist Is Warning Us Against? Is this journalist warning us against ‘Pastor’ Brian Houston from Hillsong Church? Is this journalist warning us against ‘Pastor’ Phil Pringle from C3 Church? Is this journalist warning us against ‘Pastor’ Pat Mesiti who ministers at both C3 and Hillsong and is close friends with Pringle and Houston? Before reading the article below, please read how Phil Pringle of C3 Church mentored Pat Mesiti and restored him to be a ‘legitimate’ pastor again in 2006. It’s worth further noting that Pastor Brian Houston from Hillsong Church is close friends with Pat Mesiti and was also with him though this restoration process. 1. If this journalist is asking people to be wary of Pat Mesiti’s “get-rich-quick schemes,” don’t you think it is worth being concerned who restored this Hillsong/C3 pastor back into ministry? 3. How are Brian Houston and Phil Pringle’s prosperity-driven churches any different to Pat Mesiti’s “get-rich-schemes” organisation? 4. Does slapping Christian language on Pat Mesiti’s work and getting people “handing their cash over taking a leap of faith,” make his content 100% authentic Christianity? 5. If Pat Mesiti provides “no audit trails, no published success rates to prove it one way or the other,” then why is it also rare to hear these success stories in Hillsong and C3 Church? 6. What are the chances that Pat Mesiti got his prosperity theology from his ‘pastor’ friends Brian Houston and Phil Pringle? Just who’s getting rich quick? Books have always been used by salesmen to enhance their credibility, though a new series arriving in New Zealand takes that to a new pitch. The nine books in the Millionaire Makers series ($14.99 each) tempt buyers with promises of “$100,000 in 100 days”, achieving “financial abundance for life”, or “Cracking the million dollar sales code”. But these are really advertisements disguised as books, trying to drum up bums on seats for seminars in Auckland’s Aotea Centre in August, November and February at which the nine authors – some of the biggest names of the Australian wealth seminar scene – will attempt to sell mentoring schemes, high-risk options trading systems, boxed software programs and even franchise-style online marketing businesses to Kiwis who want to barely work at all and yet be fantastically rich. Each book contains a “free” invitation to a seminar “worth $1994” (a very specific sum derived by comparison to the pricing of the seminars of US motivational speaker Tony Robbins). 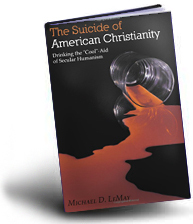 In effect, punters who pick the books up from the natty black display stands in bookstores around the country are being asked to buy the advertisement for the seminar. 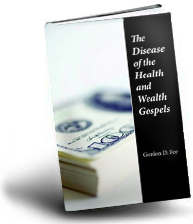 It’s brilliant marketing really, as befits the man behind the series, former evangelical pastor Pat Mesiti, now a preacher in the secular church of financial abundance. Mesiti is a fascinating and charismatic man to meet, not least because of his colourful background as a preacher with the evangelical and highly commercial Hillsong church in Australia. There’s no doubting the energy of the diminutive Mesiti (who is in great nick for a man whose brows now sport receding grey locks) nor his acute awareness that any journalist he meets is a single internet search away from learning about his past. In fact, Yahoo’s new helpful habit of trying to anticipate your searching requirements suggested I add the word “scandal” to my search command even before I finished typing Mesiti’s name. Consequently, it is he who brings up his public disgrace in 2001 when he was stood down as a preacher at Hillsong for visiting prostitutes, a scandal that led him to reinvent himself on the wealth-creation speaking circuit. It’s still a sensitive point. As we talk the phone goes. A current affairs show producer calls as we talk, asking Mesiti to front for an interview. “Are they dirt-diggers?” he asks nervously, clearly weary of constantly revisiting his sexual sins. 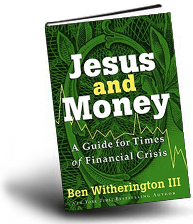 Hillsong church and Mesiti still have much in common, including the message that God and Jesus want their believers to be rich, and, unusually, that Jesus was himself wealthy. Mesiti sums it up for me. He doesn’t believe Jesus was broke. If Jesus was poor why did he have a treasurer? 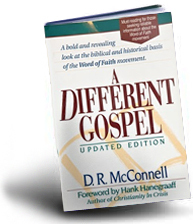 How could he have afforded to keep such a retinue of disciples? How else could he have afforded to take so much time off work? Mesiti adheres to the school of thought among predominantly US preachers with a penchant for the good life that Jesus was wealthy, and what’s more, the mainstream churches know it, but are keeping the truth from people in order to amass riches for themselves (Mesiti points out that mainstream churches are among some of the biggest landowners in the world). Mesiti’s stance is not far from Hillsong head man Brian Houston’s claim that true Christians are money magnets. “If you believe in Jesus, he will reward you here as well [as in heaven],” he once told a Sydney Morning Herald reporter. Mesiti claims that despite having left Hillsong, he has a similar mission to the wealth- dispensing God. “I tell the people, their prosperity is my passion,” he says. 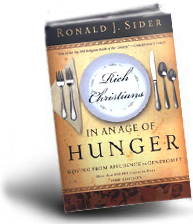 The nine authors of the Millionaire Makers series share that mission, Mesiti claims. That’s handy, because it is the only way to address the key paradox of the motivational speaker/ professional mentor: If they are so wealthy and successful, what are they doing on the speaking circuit flogging their books and mentoring systems? “Those that can, do. Those that can’t, teach,” is the old saw that comes to mind, particularly for a journalist who has met many financially successful people. The standard response is that they have a mission to teach and to free humanity from the shackles of society/poor schooling/bad parenting, which all combine in a malign conspiracy to keep us from the secrets of wealth. Of course, the way to break free from the shackles and achieve wealth quickly and painlessly, according to the Mesiti school of thought, is to buy the book/the mentoring scheme/the software. Such mentoring brings “wisdom without the wait”, he tells me. For the record, this cynical journalist for one is deeply sceptical about get-rich-quick schemes. I have no doubt they work – the problem is, I think they work for those selling them, not those buying them. There are no audit trails, no published success rates to prove it one way or the other. That leaves those handing their cash over taking a leap of faith. I wouldn’t dispute that speakers like Mesiti can be a powerful force to motivate people to get out there and improve their lot, but it’s hard not to see that as secondary to the sales pitch. Pick your gurus carefully. NOTE: SCREEN GRAB TAKEN ON THE 02/12/2012. It is uncomfortable to note that Hillsong ‘Pastor’ Pat Mesiti was restored to ministry while the Hillsong worship leader Geoff Bullock was left with no help, having his image maligned by Hillsong. Why was Hillsong and Phil Pringle of Christian City Church (C3) more concerned about restoring immoral Pat Mesiti and not others like Geoff Bullock (who were not immoral)? Below is an excerpt that examines Pat Mesiti, Hillsong and another victims story more closely. The following is an interesting extract from a book titled ‘A life of unlearning – a journey to find the truth‘ by Anthony Venn-Brown. 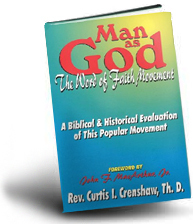 (We do NOT endorse the doctrinal content of this book.) Emphasis ours. “It was time to find someone else to take on Youth Alive and so I approached Mark, an experienced youth leader, who was managing a Christian organisation in New Zealand. As I’d been supporting myself through Every Believer Evangelism, Youth Alive had no salary to offer him and he declined. Pat Mesiti, the youth pastor of an Italian congregation in Sydney, had been my enthusiastic assistant, so he was my next choice. Pat did a tremendous job and under his dynamic leadership, Youth Alive continued to grow, opening up opportunities for him to preach around Australia and overseas. Seeing the potential in Pat, Brian Houston, the senior pastor of Hillsong Church, invited him to join their team. Basing himself at the large church in Sydney, Pat became a very popular speaker and sold thousands of tapes, videos and books on youth topics, as well as speaking regularly at multi-level marketing conferences for companies like Amway. It hurt me when I heard, not long after I had fallen off the radar so to speak, that Pat had taken on the title of ‘founder’ of Youth Alive NSW. My teenage daughters were finding it difficult enough to come to terms with what had happened to their dad, but hearing Pat regularly acknowledged for what their father had done caused them even more pain. My sense of pride and achievement in founding a successful youth organisation, eventually growing to events of 20,000 or more people, was now, along with many other things, also to be taken from me. However, Pat would eventually discover himself what it’s like to have your humanity become public knowledge, with all the pain and grief this brings to your family. In 2002, Pat was stood down from all ministry in the Assemblies of God because of misconduct, the result of a sexual addiction. I’m sure he was unaware how blessed he was to have a pastor like Brian Houston support him and his family in counselling and other ways. This support meant Pat could focus on getting his life and marriage back on track in order to be restored to the ministry. Sadly, even with that support, Pat’s marriage didn’t survive. Phil Pringle, the Senior Pastor of another mega-church in Sydney, willingly took Pat’s healing and rehabilitation in hand. In his new church home and with his new wife Andrea, Pat was re-instated as a preacher on Sunday 19 February 2006 and serves God with a new awareness and humility. 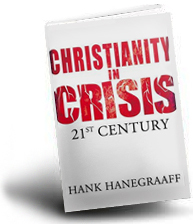 The Christian Church—a place of love, forgiveness and restoration—proved to be so for Pat. His repentance opened doors and people came to his rescue. Why hadn’t it worked like that for me? I wondered. Was my sin so unforgivable?” – Anthony Venn-Brown, A life of unlearning – a journey to find the truth, 15/11/2007.